Honda revealed two electric prototypes today at the 2019 Tokyo Motor Show, the Benly Electric scooter and this CR Electric dirt bike. Honda provided very little detail about either prototype, leaving us to speculate from what we can see. The Benly Electric is based on a commuter scooter currently offered in other markets, so we’ll focus our attention first on the CR Electric prototype. 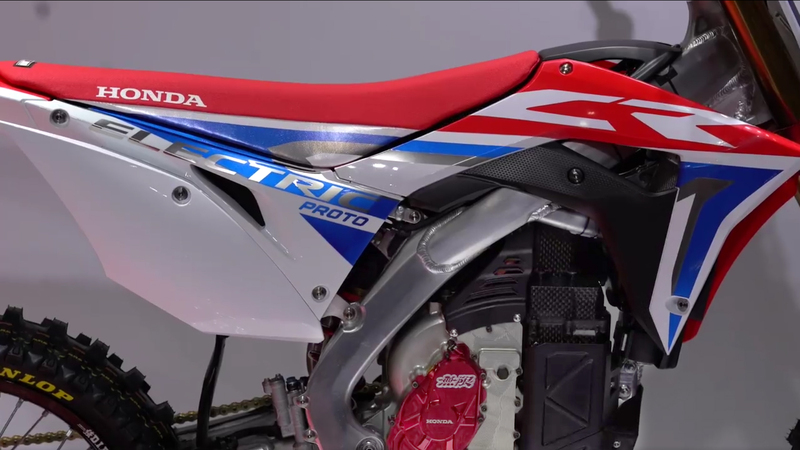 The first thing we notice is that the CR Electric looks like a Honda CRF dirt bike. The aluminum twin spar frame looks identical to the one used on the 250 and 450 CRF models, as does the bodywork. 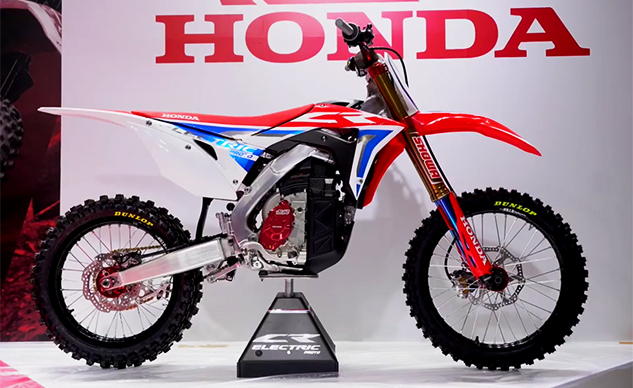 The implication is that Honda has put its electric motor and batteries into a similar-sized package as its gasoline-sipping dirt bikes. The prototype also employs Showa suspension and knobby Dunlop tires. 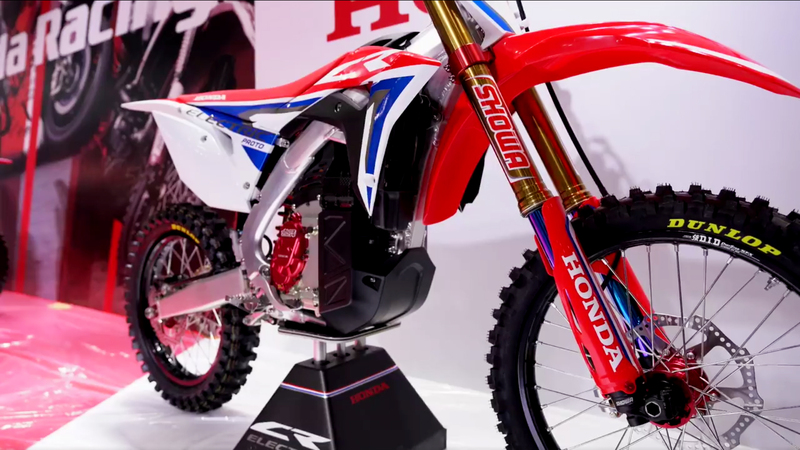 The motor bears a red plate with the logos of Honda and its longtime partner, Mugen, the company behind the Shinden racebikes that compete in the Isle of Man’s electric races. The motor is definitely not the one powering the Shinden to multiple TT Zero victories, but Honda no doubt relied on Mugen’s experience working with electric powertrains. Back in 2017, Mugen presented a dinosaur-themed electric dirtbike called the E-Rex at the Tokyo Motor Show, which also used a CRF twin spar frame. The motor and batteries, however, look completely different from what’s in the new prototype. 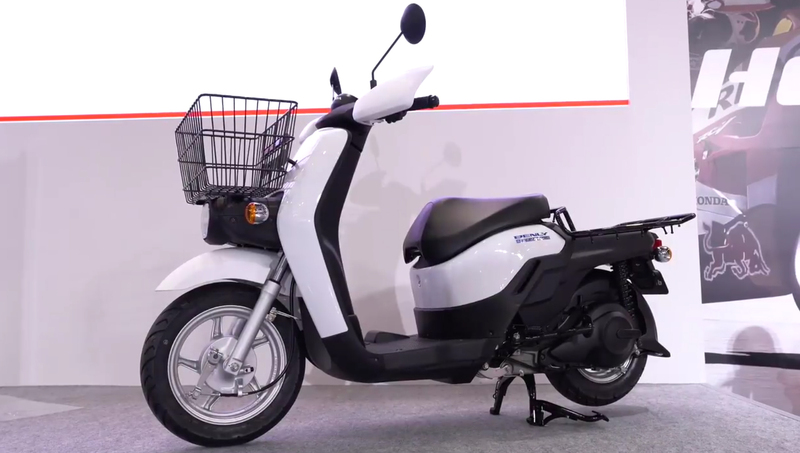 We’re not entirely certain but it doesn’t look like the CR Electric uses the new swapable Mobile Power Pack batteries Honda developed with Panasonic for electric two-wheelers. 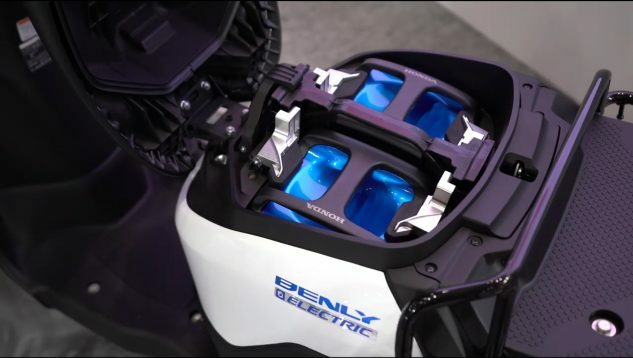 The Benly Electric uses two of these packs, housed under the seat (pictured below). The big question is whether either of these prototypes will lead to a production model. The Tokyo Motor Show has typically been a showcase for new ideas, but most end up being little more than thought exercises. On the other hand, it is a good sign that Honda calls these two prototypes and not concept models. We’ll just have to wait and see what Honda has planned for the CR Electric.